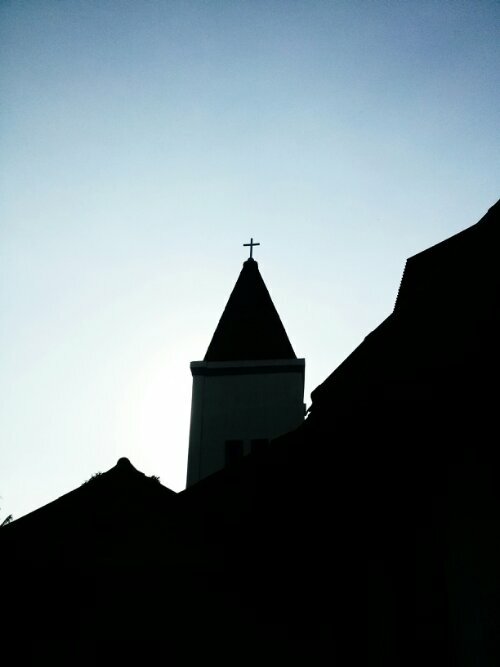 Pictures of GITJ Donorojo church in Banyumanis, Jepara, Central Java. 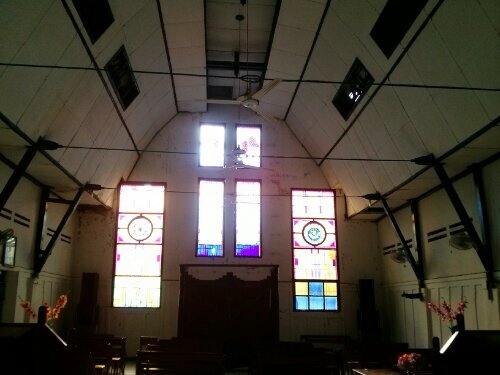 In this remote area of the most populated island of Indonesia, here stands one of the smallest but continuing presence of Mennonite christianity. The first was taken from the inside, showing rather simple image of the congregation. The second one was the tower shortly before sunset. This is a response to a weekly photo challenge here.